Excited for a great G.N.O., Christian didn’t expect to meet her future husband that summer night. The couple met at Community Inn where Christian saw Jimmy, smiled, and sat down to chat. The two hit it off immediately and the rest, as they say, is history. It wasn’t until around a year later when Jimmy decided to propose, though. They had gotten all dressed-up for their anniversary dinner at Billy’s when Jimmy asked Christian to sit down on her living room couch. After disappearing for a few moments, Jimmy returned with a little box in his hand. He got down on one knee and explained all the reasons he wanted to spend his life with the amazing woman before him. Despite shaking with nerves and holding back tears, Jimmy was able to ask the big question. Christian wholeheartedly accepted and loved the simplicity of how Jimmy proposed to her. The wedding was decorated with a simple country chic in mind. 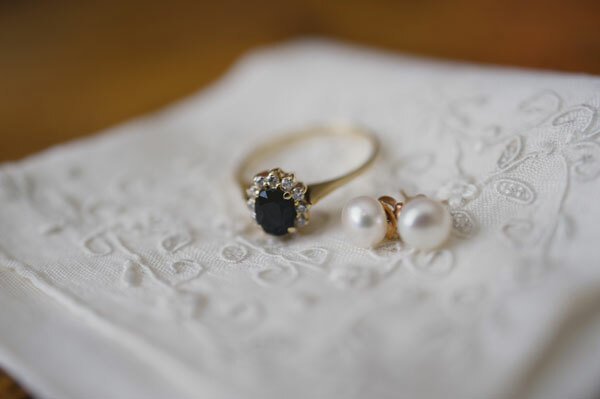 The accessories were simple and some were even handmade by members of the couple’s families, which helped to make the wedding preparation that much more special. The ceremony was held in the ballroom of the Roanoke Country Club where there were decorations in light pink, white, and sage. Roses were incorporated all around in those colors and specifically placed along the mantles of the fireplace where there were candles to accent the flowers. The centerpieces were made with plain clear glass vases that were attached to burlap and lace. The wedding party for that day was almost entirely made up of the children Jimmy and Christian had from prior relationships. 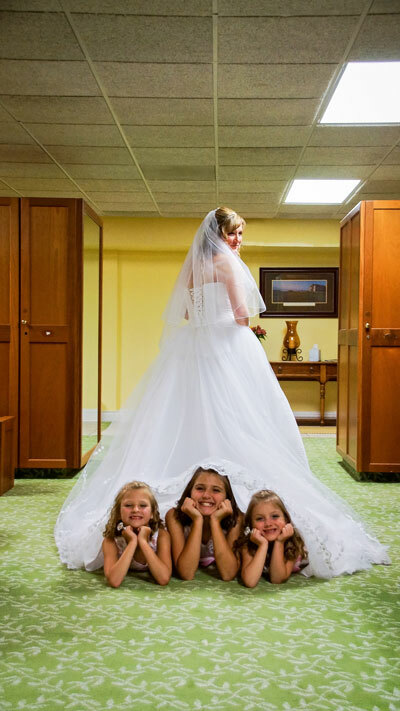 The couple found it important to include their children in as much of the day as possible and placed them right up front during the ceremony as a way to cement the blending of their families. Since the wedding was small and intimate, having the people they loved the most closest to them really made the ceremony much more special to the couple. 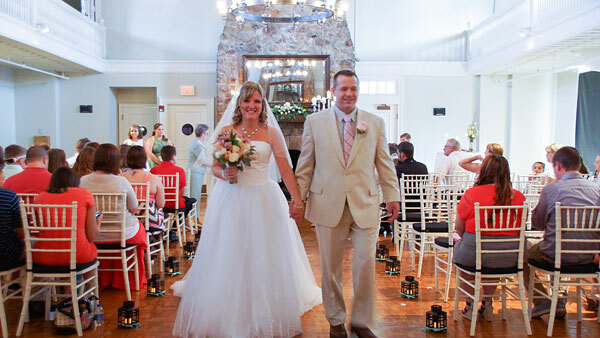 Christian remembers the moment she walked down the aisle and laid eyes on her groom. Jimmy was visibly choked up at the sight of her and that made her feel like the most beautiful girl in the room. It was Christian’s hope that Jimmy would be brought to tears by his emotions, but she was surprised when tears rolled down her cheeks as well. This raw and real emotion was one of the reasons why she loved Jimmy and it made her feel incredible to see it in his face as she walked toward him and into their future together. 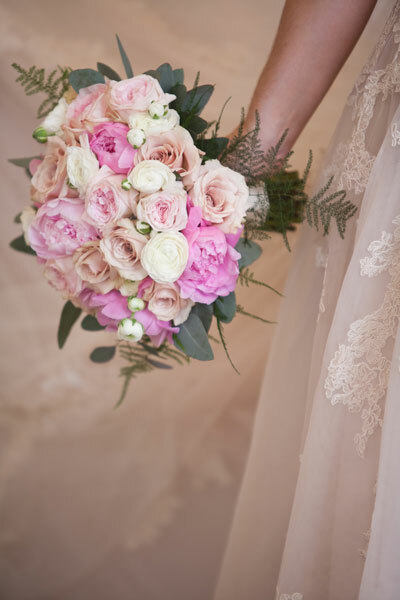 Make sure to read more from the Boise wedding on page 74 of bridebook!